It’s a national security issue and it needs to be prioritized that way,” said retired Maj. Gen. D. Allen Youngman. He’s one of hundreds of former military officers who have gotten involved in Mission: Readiness, a nonprofit organization whose “Too Fat to Fight” reports attack junk food in schools… Current military officials agree that the nation’s obesity epidemic has created a serious problem, currently and for the next generation of soldiers. Jonathan Wai, a research scientist at Duke University and part of the school’s Talent Identification Program, looked at the world’s billionaires and global elite… The global elite—defined by media lists and culled from the attendees of the annual World Economic Forum gathering at Davos, Switzerland—are also highly educated. More than half of Davos attendees went to elite colleges… Harvard, the study suggested, is the top billionaire-making machine. Among U.S. billionaires, more than 1 in 10 went to the school, and globally about 1 in 20 billionaires went there. As Wai told … : “I was surprised by the extent to which elite schools within each country tend to serve as influential filters for who ends up as a member of these groups of the global elite, specifically the overrepresentation of people who had attended Harvard University” … But wealthy children can also get into top universities in part because their parents attended or gave the school large gifts. Wai acknowledged that “some students attend an elite school with lower-than-typical test scores due to athletics, legacy status or political connections. ~ Billionaires are smarter, study says by Robert Frank. Research which heaped doubt on the rate of global warming was deliberately suppressed by scientists because it was “less than helpful” to their cause, it was claimed last night. In an echo of the infamous “Climategate” scandal at the University of East Anglia, one of the world’s top academic journals rejected the work of five experts after a reviewer privately denounced it as “harmful”. The interesting thing about science is that it is not about public opinion or even popular consensus. Scientific discoveries, even those that are unpopular, have a history of being borne out over time… The argument that I find most specious and intellectually suspect is that the 97 percent of climate scientists who support the idea that climate change is linked to the contaminants we’ve been putting into the air in massive quantities since the Industrial Revolution have been compromised by money, while the tiny minority (often those paid by the polluters) remain intellectually pure. Scientists from NASA’s Goddard Institute for Space Studies – the very organization now presaging gloom and doom at the hands of global warming – predicted a new ice age back in 1971. Faith in Global Warming is collapsing in formerly staunch Europe following increasingly severe winters which have now started continuing into spring. Christopher Booker explained in The Sunday Telegraph on April 27, 2013 “Here in Britain, where we had our fifth freezing winter in a row, the Central England Temperature record … Last week it was reported that 3,318 places in the USA had recorded their lowest temperatures for this time of year since records began. Similar record cold was experienced by places in every province of Canada. So cold has the Russian winter been that Moscow had its deepest snowfall in 134 years of observations” … But there is a fundamental problem with the temperature records from this contentious period, when climate science crashed into political science. The land based records, which have been under the control of global warming alarmists at the British Met Office and the Hadley Centre Climate Research Unit, and at NASA’s Goddard Institute for Space Studies and the National Oceanic and Atmospheric Administration (NOAA) in the U.S., show much more warming during this period than the incorruptible satellite atmosphere temperature records. Those satellite records have been further confirmed by atmospheric weather balloons. But the land based records can be subject to tampering and falsification. ~ To The Horror Of Global Warming Alarmists, Global Cooling Is Here. By Peter Ferrara. Forbes. We live in an era of unprecedented BS. It’s coming at you live from every corner of life. Not just from your Twitter feed, the government, the media, and those crazy cats in Hollywood. It’s coming at you from scientists in the form of misinterpreted studies, flawed research, and opinion dressed up as science. I just finished reading a blockbuster Wall Street Journal article about how saturated fat does not cause heart disease. That’s right, folks. All those fat-free, heart-healthy diets backed by the American Heart Association and everyone else are bogus. Researchers followed 30,000 women for 20 years and found that those who avoided the sunshine were twice as likely to die. Researchers at the Karolinska Institute in Sweden claim guidelines which advise people to stay out of the sun unless wearing sunscreen may be harming the population, particularly in countries like Britain. Exposure to ultraviolet radiation from sunlight is often cited as a cause of skin melanoma. The NHS currently recommends avoiding overexposure to the sun to prevent all types of skin cancer. But the new research, which followed nearly 30,000 women over 20 years, suggests that women who stay out of the sun are at increased risk of skin melanomas and are twice as likely to die from any cause, including cancer. “The results of this study clearly showed that mortality was about double in women who avoided sun exposure compared to the highest exposure group,” said lead author Dr Pelle Lindqvist… The research was published in The Journal of Internal Medicine. PS. The key words – in the above quoted study – are “Sweden” and “Britain“. 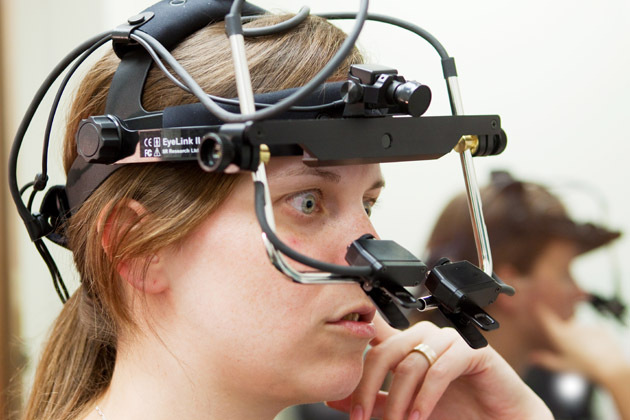 People who live, for instance, in California, Aizona … should be very cautious with these kind of researches. ~Human-to-Dog Transmission of Methicillin-Resistant Staphylococcus aureus. Centers for Disease Control and Prevention. They’re our best friends and our companions, there to offer a friendly paw or a lick on the face whenever we feel down in the dumps. We love our pets so much so that we share our homes — and often our beds — with them. But the next time you get ready to curl up with your furriest friends, think about this: Your pets can carry a variety of creepy crawly critters that could make you sick. As they roam your yard or neighborhood, cats and dogs can pick up bacteria, fungi and a variety of bugs (ticks, mites and worms) that they can then pass on to you. These bugs can lead to a host of zoonotic diseases, or conditions that are passed from animals to humans. ~ 5 Skin Problems You Can Get From Your Pets by Stephanie Watson. Short height and long life have a direct connection in Japanese men, according to new research. Shorter men are more likely to have a protective form of the longevity gene, FOXO3, leading to smaller body size during early development and a longer lifespan. Shorter men are also more likely to have lower blood insulin levels and less cancer. ~ Taller People Earn More Money, Economic Record. People who used their phones more than 15 hours each month found to be at two to three times higher risk of developing glioma and meningioma tumours… The study, appearing in the latest issue of British journal Occupational and Environmental Medicine, is the latest in a long-running exploration of mobile-phone safety… In 2011 the International Agency for Research on Cancer (IARC) said radiofrequency fields used by mobile phones were possibly carcinogenic. Deep down in a secret computer network is an unclassified document named “CONOP8888,” reports Foreign Policy magazine. It’s a detailed synopsis for battling many kinds of zombies, including “chicken zombies,” who rise up after being euthanized by farmers, to “evil magic zombies” that are life forms created via some form of occult experimentation.” The 2011 report calls for U.S. Strategic Command to develop a strategy for protecting “non-zombie humans from threats posed by a zombie horde.” Military planners in Omaha, Neb., wanted a detailed scenario for dealing with a widespread national emergency. So they devised a zombie attack protocol that covered training civilians how to survive in a post-apocalyptic world (including collecting rain for water consumption), as well as deploying and withdrawing military personnel. Chinese energy giant ENN Energy Group wants to use federal land as part of its effort to build a $5 billion solar farm and panel-building plant in the southern Nevada desert. Rory Reid, the son of Senate Majority Leader Harry Reid, is representing ENN in their efforts to locate in Nevada. Part of the land ENN wants to use was purchased from Clark County at well below appraised value. Rory Reid is the former Clark County Commission chairman, and he persuaded the commission to sell 9,000 acres of county land to ENN on the promise it would provide jobs for the area, Reuters reported in 2012. Hunter Biden, the youngest son of U.S. Vice President Joe Biden, has been appointed as head of legal affairs at Ukraine’s largest private gas producer, Burisma. The appointment comes just weeks after Vice President Biden visited Ukraine’s capital to show support for the country … He also warned of the dangers of government corruption. “Russia already regards the U.S. as meddling in Ukrainian affairs, so this news won’t change that perception,” said Steven Pifer, a former U.S. Ambassador to Ukraine and a director of the Brookings Arms Control and Non-Proliferation Initiative. A leading member of the Syrian rebels … Kamal Labwani, who spent 11 years in Syrian prisons… arguing that Israel … should no longer be “blamed for everything. Israel is not our enemy anymore. We see how Israel opened its doors to our injured. We see how Syrian children are treated in Assad’s prisons and how they are treated in Israeli hospitals. Israel gave food while Assad starved his own people. Syria has only one enemy now: the Assad regime backed by Iran and Hezbollah. I meet with Syrian dissidents and military leaders daily and have seen how, after decades of brainwashing, their mentality has begun to change… I recently proposed a controversial idea: asking Israel to help our opposition get rid of the most brutal dictator alive today. I said that this is our joint challenge and one that is much more important than the Golan Heights. Golan in the future can remain a garden of peace for all. I believe that Israel is able to be a partner, not an enemy. After meeting with dozens of rebels in the majority of Syrian provinces, I believe that many would support such a plan“. ~ Syrian Opposition Calls for Partnership with Israel by Washington Free Beacon Staff. A new study approaches the concept of longevity from an interesting angle, focusing on models that have achieved 200,000 miles. Put together by the data aggregator iSeeCars.com, the study was based on listings for 30 million vehicles advertised for sale during the last year. Looking at the model years 1981 to 2010, the company ranked those vehicles based on the percentage that achieved the impressive 200,000-mile mark. Not surprising, most were vehicles that also have had good reliability rankings in our annual owner surveys. Here’s the iSeeCars list, in order of most to least ads featuring cars with more than 200,000 miles. Moscow’s support was essential in securing the most recent agreement between the P5 + 1 and Iran, and reaching a final agreement with Iran is contingent even more on Russian support. President Putin could pull support from these talks in response to the United States’ position on Ukraine. Near to the end of his term, Obama could then face the prospects of once again trying to prevent a potential scenario where Israel pursues a pre-emptive strike against Iran’s nuclear program. In the cases of both Syria and Iran, President Obama runs the risk of the situation in Ukraine impacting negatively on his Middle East policy. The timing of the Ukrainian crisis could not have been worse for Japan,… So far, Japan’s reaction has been lukewarm compared to the response of the United States and the European Union. But should the crisis deteriorate further, the G7 members may choose to resort to harsher sanctions. Doing so may upset the cautious diplomatic game Abe has been playing with Russia. In his second term as prime minister, Abe has made Russia a focus of his personal diplomacy. He has met with President Vladimir Putin five times, more than with any other foreign leader… All of Abe’s diplomatic manoeuvres have been directed at a very tangible goal — that of renewing talks on the territorial dispute between Japan and Russia over the so-called Northern Territories (referred to in Russia as the Kuril Islands). ranks 48th in U.S. … the third worst among the states, according to a report from the Tax Foundation, a nonprofit advocate for low taxes… The states ranking best by the Tax Foundation’s measure are: 1)Wyoming, 2)South Dakota, 3)Nevada, 4)Alaska, 5)Florida, 6)Washington, 7)New Hampshire, 8)Montana, 9)Texas, 10)Utah. Except for Utah, all of those states lack one of the three biggest taxes: sales tax, individual income tax or corporate income tax, the report said. When Toyota announced that it was moving its U.S. headquarters from California to Texas, some were surprised, but everyone understood why. Because of its high taxes and regulations, worst states in the nation in which to do business, and a move from California would have an immediate positive impact on Toyota USA’s bottom line. And Toyota is only the latest. ~ Majority, 56%, expect average home prices to rise in local area by Jeffrey M. Jones. 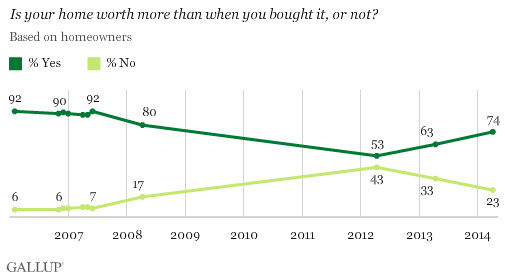 Gallup, Inc. The European Parliament has condemned violence against Christians, as has Amnesty International… Yet critics such as Nina Shea of the Washington-based Hudson Institute’s Center for Religious Freedom argue that the reaction has been muted — noting, … One likely reason is that mainly liberal Western journalists aren’t used to seeing Christians … as legitimate victims of oppression. U.S. conservatives rightly complain about the neglect, but their approach is often counterproductive. Jesus wasn’t a Christian – that word exists for his followers and came later. He was Jewish. His mother was Jewish. He was circumcised as a Jew. He pretty much followed the Jewish law, departing from it only in the name of what he saw as its deeper meaning. “For truly I tell you, until heaven and earth pass away, not one letter, not one stroke of a letter, will pass from the law until all is accomplished,” he insisted at the end of the Sermon on the Mount. Sure, he debated furiously with the Pharisees and Sadducees, especially about the significance of the temple. And, in time, this argument came to be restyled by Jesus’ gentile followers as an attack upon Jews per se. But originally it was an internal debate within Judaism, not an attack upon Jews from the outside. In was an internal debate in the same way that the prophets of the Hebrew scriptures, such as Jeremiah, often attacked the priests of the temple for missing the point. ~ “… for Jews the cross is a symbol of oppression” by Giles Fraser. The Gardian. 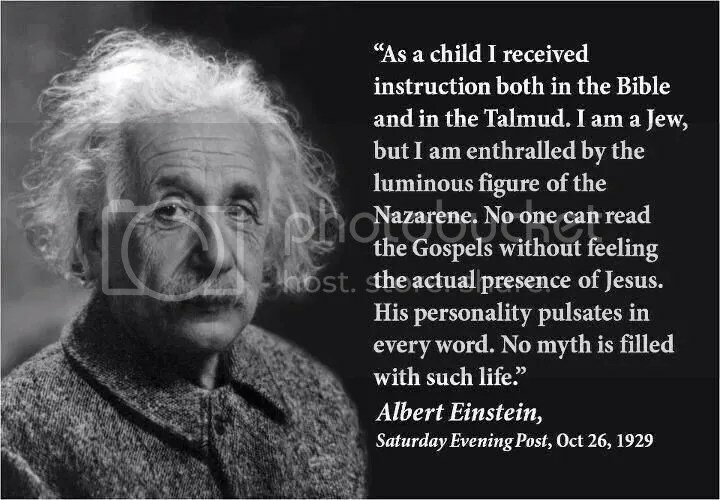 Albert Einstein and Jesus Christ. The organizations, including The Associated Press, filed a brief with the National Transportation Safety Board in support of aerial photographer Raphael Pirker. Pirker was fined $10,000 by the FAA for flying a small drone near the University of Virginia to make a commercial video in October 2011… Media organizations are intensely interested in using drones for photography and videos because they are far less expensive to buy and operate than a manned airplane or helicopter, and because their size and versatility provide visual perspectives often not possible with manned aircraft. The average price of homes sold in March 2014 increased 8.8 percent across the country, a strong showing despite the decline in home sales. The West region had the best results with the average price of homes sold increasing 12.8 percent followed by the South region at 7.9 percent, the Northeast region at 7.8 percent and the Midwest saw average prices rise 2.9 percent. Would Economic Sanction Improve U.S. Security? Russian Deputy Finance Minister Alexei Moiseev summoned Iranian Ambassador to Russia Mehdi Sanayee for a meeting in Moscow to learn strategies for avoiding the brunt of U.S. sanctions. Iran has for years developed elaborate and illegal methods for skirting sanctions on its contested nuclear program, its military, and oil trade. Moiseev is reported to have told Sanayee Russia is “willing to make use of Iran’s experience in dealing with Western sanctions”… Iran also has set up an elaborate network of front companies and networks that have allowed it to procure everything from nuclear-related goods to weapons, and even cash… Moiseev called for closer financial ties with Iran and discussed boosting trade between the two countries. Both Sanayee and Moiseev “called for further coordination between Iran and Russia for the 11th meeting of their Joint Economic Commission” which is scheduled to be held in Tehran later this year. Other top Russian officials also have sought to boost ties with Iran in recent months. ~ Russia Asks Iran: Help Us Skirt U.S. Sanctions By Adam Kredo. The Federal Election Commission on Thursday approved the use of the alternative currency Bitcoin for political contributions with limits of $100 per donor per election cycle… Proponents say it’s a sign of increased acceptance of the upstart currency, as more businesses and individuals are starting to embrace Bitcoin payments as an alternative to credit cards. Sixty-eight percent of people responding to a survey say that they’d put themselves at risk of physical harm if it meant retrieving a stolen smartphone … Only 10 percent of people have had a phone stolen, but, as the San Francisco Examiner noted, 50 percent of robberies in the city focused on phones as the target. And with the loss of a phone comes the loss of pictures, contacts and banking information. 4-D printing takes “smart” materials from a 3-D printer that can assemble themselves. So instead of just printing out a chunk of shaped plastic, you can actually create shapes that a fixed 3-D printing nozzle couldn’t accomplish. The potential uses for this range from extreme condition architecture to adaptive infrastructure, like pipes that expand and contract depending on water volume. There’s also potential in medicine: various implants could be inserted in a packed form, then take their true shape once they reach their destination. The US has been the global leader since overtaking the UK in 1872. Most economists previously thought China would pull ahead in 2019. The figures, compiled by the International Comparison Program hosted by the World Bank, are the most authoritative estimates of what money can buy in different countries and are used by most public and private sector organisations, such as the International Monetary Fund. National Safety Council’s annual report found 26 percent of all crashes are tied to phone use … headsets do not reduce drive distraction. What would a U.S.-Russia war look like? Nuclear Armageddon. …the entire stockpile of U.S. intercontinental ballistic missiles (ICBMs) — 448 active — is essentially aimed squarely at Russia. 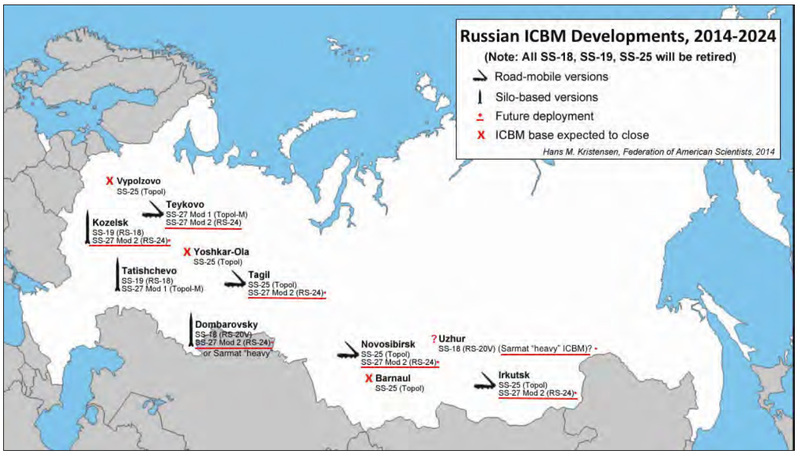 Russia’s hundreds of ICBMs are probably returning the favor. 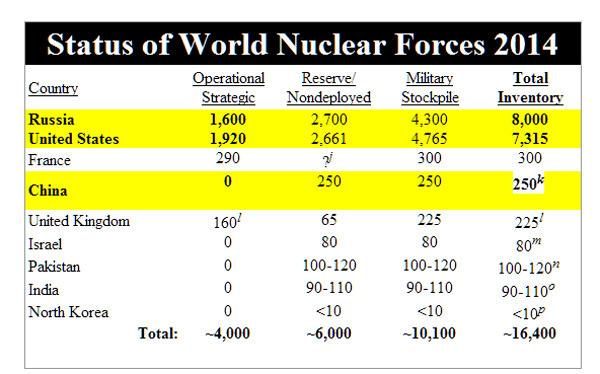 In all, the U.S. has about 7,700 nuclear warheads, including 1,950 warheads ready to deploy via ICBM, submarine, and airplane, plus thousands more in mothballs or waiting to be dismantled, according to the latest tally by the Federation of American Scientists. 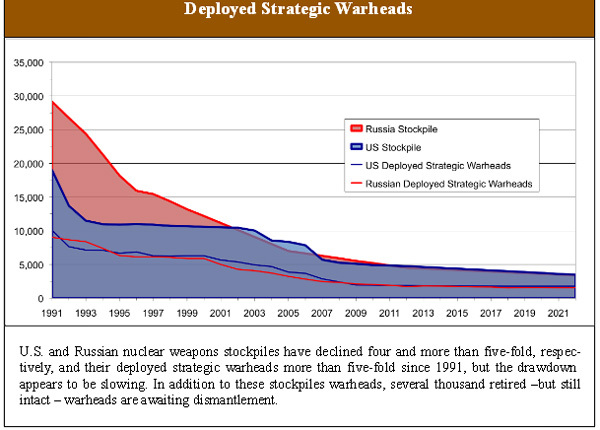 Russia has slightly more warheads overall — about 8,500 — but a slightly fewer 1,800 of them operational. Under normal operation (not the end of the world), I collect used engine oil and fuel from changed filters off Peterbilt trucks I service (roughly 120 trucks). I filter and blend this used oil with a setup at my house that I will detail later. 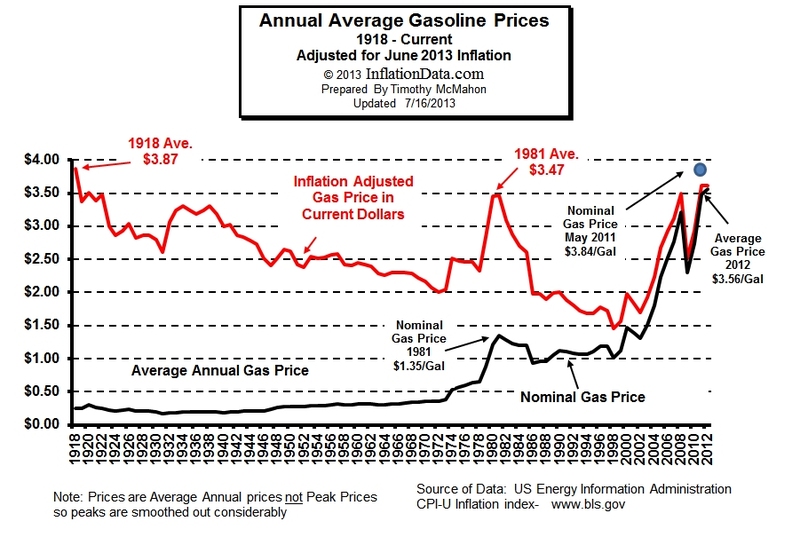 However, in a SHTF scenario, the theory would be collecting the engine oil and automatic transmission fluid or even power steering fluid from abandoned vehicles, which will have run out of fuel on the road, to make a custom blend of usable emergency fuel for your diesel… The proper vehicle to run this fuel would be one with a mechanically-injected older diesel engine, pre-1997 would be safest. All older IDI Fords, 6.9 l and pre-powerstroke 7.3 l engines do well on it. See also: Five Business Lessons From Steve Jobs by Kevin O’Leary.